Stop Counting Calories, Carbs and Pounds…Count Your Blessings Instead! Stop Counting Calories, Carbs and Pounds…Count Your Blessings Instead. When Kate seeks help for her yo-yo dieting and weight gain, she’s looking for more than just another carb-counting quick fix. Tired of both herself and an endless parade of nutrition and fitness advice, Kate doubts that any diet can help her overcome her compulsive eating habits to find the perfect weight. A warm-hearted and fiercely direct dialogue ensues, as the two women clear Kate’s kitchen, assess her wardrobe and uncover a brilliantly confident woman that Kate never realized was hiding under her own skin. 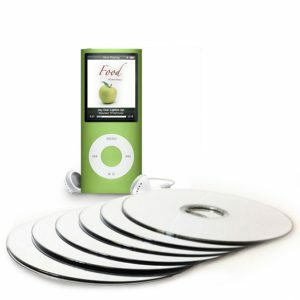 Eat and live in a way that leaves you feeling fully satisfied and never aching for more. It’s time to open our minds and heal our bodies. Maureen Whitehouse helps us do both. 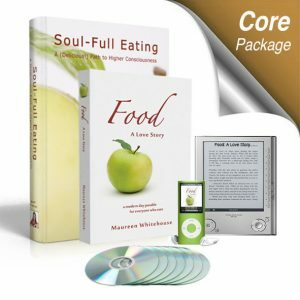 Entertaining and enlightening, this powerful guide clearly points the way out of not only the dieting debacle, but offers freedom from addictions of all kinds. 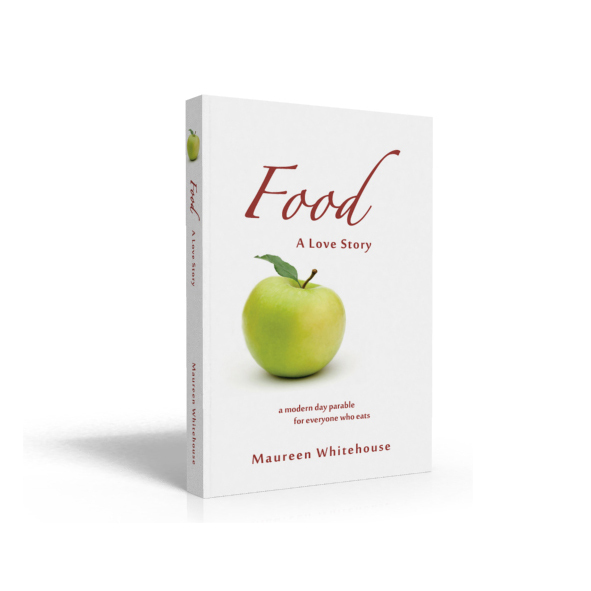 Laid out with originality and clarity, Food: A Love Story, bids you to think about your unquestioned beliefs and assumptions that have quite possibly shaped your dietary beliefs and body image for decades. A must read.